Working Out & Eating Better = Healthier Helene! I’m glad I made the decision in late 2014 to get back on the health & fitness bandwagon: for a few years there, I let myself slide backwards and undo the years of health & fitness I had accomplished in my early twenties. This year, I have made strides to get myself back into shape: it definitely helped that Ryan and I started off 2015 by participating in the Daniel Fast with our church. Since the fast, we have made a point to eat better together and also commit to working out together on a regular basis. 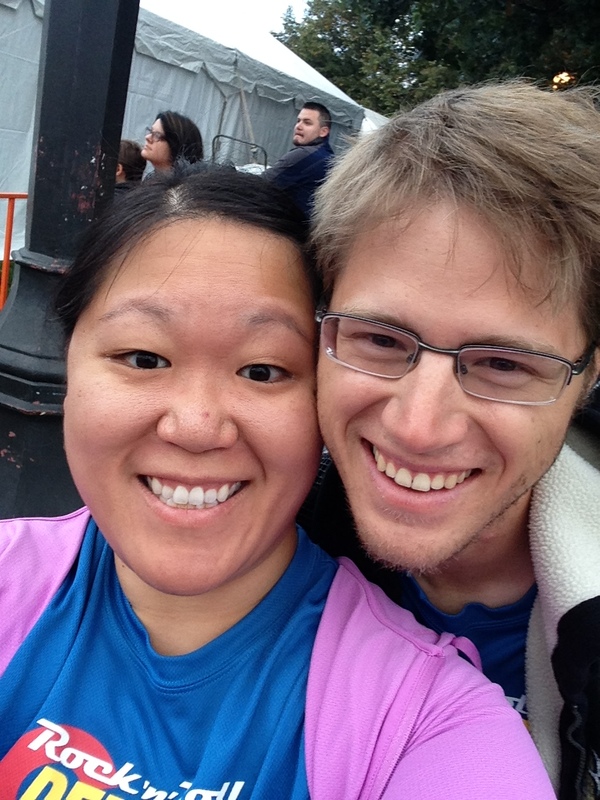 As I had mentioned before, we ran our first 5K together back in October and hope to run more in 2016. Overall, since November 2014, I have lost twenty-five pounds in a much healthier fashion than in my twenties. The road to better health is ongoing, and I intend to lose more weight in the coming year. Obviously, I will continue my healthier habits into the new year….Ryan and I do need more exercise ideas, though. 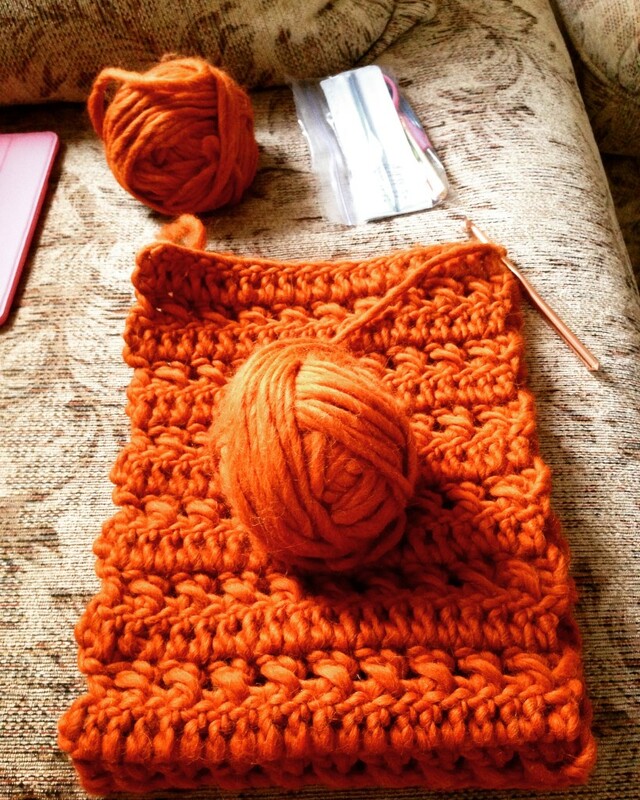 I am also most happy that this year was the year for me to FINALLY progress in my crocheting/yarn craft hobbies! I started off the year attending a Nerdy 30s Ladies of Denver Metro Crafting/Knitting/Coffee meetup (in fact, I just RSVPed for the same meetup event happening at the beginning of this coming January, too!) and have been crocheting pretty regularly since then. Granted, over the past 11ish months, I have also learned A LOT about the whole world of yarn crafts: gauge, different stitches, the size of the crochet hook, yarn weight, yarn material, etc. When I had first learned how to crochet, I thought much of what I listed above didn’t matter much, but this year I have learned that they DO matter….quite a bit! I’ve made hats too big because of the wrong sized hook or the wrong type of stitch…luckily, these were all learning lessons for myself! 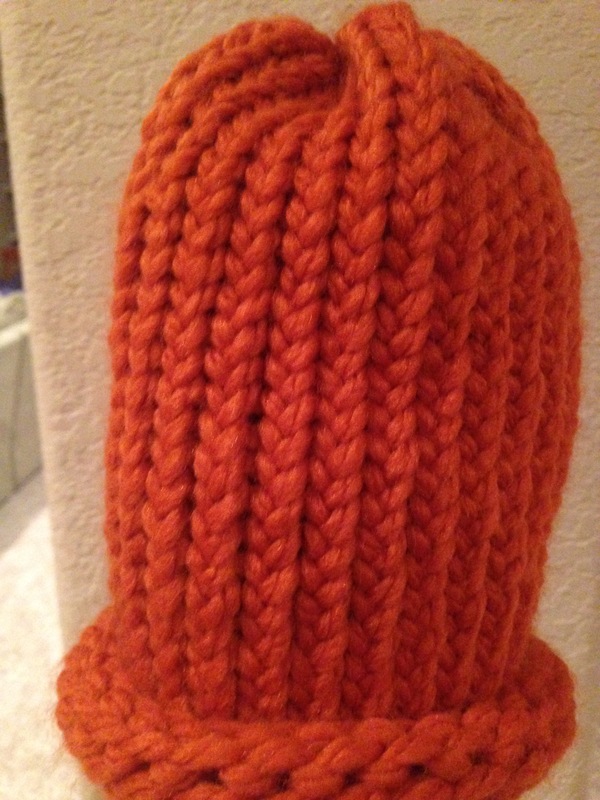 Loom-knitting hats is SO easy….even a six-year-old can do it. I have also spent time learning more about loom knitting, and I do enjoy the round looms nowadays! I unfortunately made the mistake of learning how to loom knit on the long rectangular loom–which I just recently learned is actually harder than the round loom. Still, I love learning about all these different ways to create hats, scarves, etc. This Christmas, I can confidently say that I am creating pretty much all of my gifts for my family members: several Christmases ago, I attempted this, but ended up with some too-short scarves and a couple of IOUs. Odd, right? But I’ve learned so much since then….and I can’t wait to share these gifts with my family! This next year, I hope to continue my love of yarn craft hobbies and also make more goodies for my church’s outreach program. Hooray! 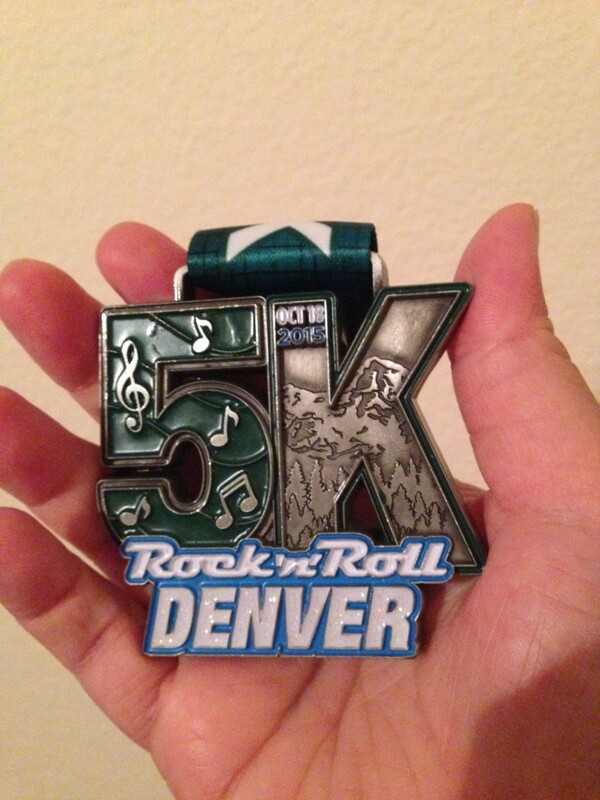 Posted on October 20, 2015 Categories health1 Comment on We Finished the Rock n Roll Denver 5K! Running Again & It Feels Great! 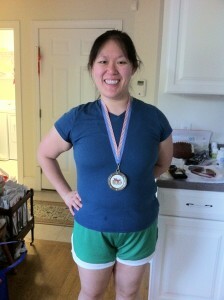 Me with my medal from a 5K I ran/walked in 2011. Ryan and I started the Couch to 5K program at the start of July and we are now rounding out Week 9 (the final week) of the program. As I had mentioned before, I had completed the Couch to 5K in 2010, and I remembered how exhilarating it felt to finish the program. At that point in time, I was already in pretty good shape, so the program was just the extra cherry on top. However, I didn’t maintain my running after that, and although I had signed up for a couple of 5K races in early 2011, I didn’t do too well with my running (at one race, I pulled a muscle in my back and had to walk the entire race with a weird gait). As I have probably mentioned over these past several years, I have slowly gotten out of shape until last year, when I stepped on the scale again, I saw how much I had gained back in four years. Ack! So since last year, I have been working out again and slowly losing the weight again (and hopefully for the last time!). But the journey has been a lot of stop-and-go this past year: Ryan and I worked with a few personal trainers last year and they helped us get back into shape! But then we had to discontinue with them because of expenses and the holidays. Then we tried going running on our own and that didn’t pan out too well either; we just found ourselves walking more than actually running. I was getting frustrated with our stop-and-go exercise routine come June of this year, so after our trip to NYC, I suggested we hop back onto the bandwagon with the Couch to 5K program. This time, it’s working SO much better. There have been tough times in the Couch to 5K journey, e.g., I still can’t figure out a proper breathing technique for myself, but we have kept up with the schedule and our phone app’s “coach” has been helpful in keeping our pace and timing well. I made a list of goals this week about what all I want to accomplish over these last few months of 2015: one of those goals is to run two 5K races! We are gearing up to register for the Rock ‘n’ Roll 5K next month; hopefully we’ll find another 5K for November or December! Posted on September 4, 2015 Categories healthLeave a comment on Running Again & It Feels Great! 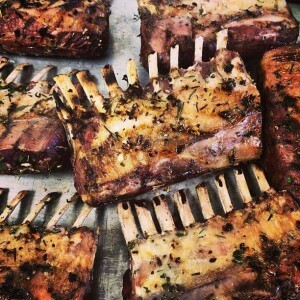 Did you know that Caveman Cafeteria’s lamb is 100% GRASS-FED?! I first came to know about Caveman Cafeteria from their mobile food stand at 16th and Larimer back in May. I was on my way to the Market Street Station to ride a bus to DIA and saw the stand firmly anchored on that corner of the 16th Street Mall. I took a kale and wagyu beef dish with me to Market Street Station; satisfyingly much tastier than any food I could grab n’ go at the airport. And then, Caveman Cafeteria announced 1-week trials of their meal plans. I immediately signed up, justifying the cost as almost equivalent to a week’s worth of groceries (the meal plans cost a little more than my usual grocery trip). Delicious 100% grassfed WAGYU steak w/ Organic golden yams, brocolli & demi-glace. I tried the Cavemean Meal Plans out during the week of October 14-18. First things first: pick up my lunchbox for my Monday and Tuesday meals (then I went back for my second lunchbox on Wednesday for Wed-Fri meals). 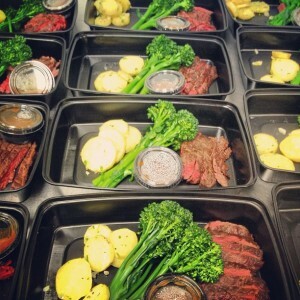 Members have a choice of where to pick up their meal boxes at several Crossfit and other locations in the Denver area. I opted for pick-up at the Corepower Yoga on Grant/13th. From the first bite, I was definitely enamored with Caveman’s meal preparation. I went with the 3-block medium portions and that was just the right amount of food for me that week. Grass-fed, organic meat with steamed vegetables was on the menu for the week; of course, various meat and vegetables were in each separate meal. My most favorite offerings that week were the wagyu beef (so tender! so juicy! ), lamb, and the roasted yams and radishes. Yum yum. Also, during my trial week, I had two delicious paleo salads–so many delicious nutrients with a light dressing. With the hot dishes, all I had to do was microwave them (or I had the option of baking the dishes, too) for a few minutes and voila~ meal, complete! Alas, during my one-week trial, I forgot each time to take a photo of my meals for this post; instead, I contacted Will White, the Founder of Caveman Cafeteria, to get me some photos from his own collection. 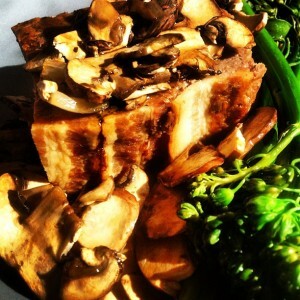 100% GrassFed Wagyu beef meatloaf w/ Organic criminis, broccolini, fresh herbs & demi-glace; YUM! After my trial week, I had the option of signing up for my monthly fill of meal plans. The smallest (medium portions) option is $499 for four weeks of meals during weekdays. This is the plan recommended for most women. There are also options of 4-block (large) portions for $599/month or 5-block (XL) portions for $699/month. The fees vary depending on how you pay for the plan. There are also options for couples and families. Now here’s a disclaimer: I myself do not subscribe to Paleo principles, but I thoroughly enjoyed my meals from Caveman Cafeteria. Their meals are well-balanced and filling, no matter the size and no matter which diet (outside of Paleo) you work with. I would like to sign up for monthly meals sometime in early 2014; as of now, my funds are tight so I have to forgo the monthly option for the rest of this year. My interactions with Will have been nothing but kindness and accommodating; Will built Caveman Cafeteria with the philosophy of being a YES company: whatever the customer wants or needs in meals, the business will get that request fulfilled. For example, with the meal plans, Caveman Cafeteria is willing to work around travel schedules. Don’t see many businesses like that doing the same thing. Will is very approachable and always willing to help and answer questions. I highly recommend Caveman Cafeteria meal plans for those of you who have busy weeks/no time to cook! My weekdays are usually not too busy, but I admit that I usually avoid cooking meat for myself as the process always seems too laborious for just myself. Try out a week and tell me what you think! Colorful bottles of delicious juices. Remember that post I wrote about my 3-day cleanse? That only happened several weeks ago; anyway, yes, I got all my juices, chlorophyll water, aloe water, and DELICIOUS raw almond milk from Pressed Juice Daily. Pressed Juice Daily opened its doors in Denver on September 20th; the kiosk/store is located on the 16th Street Mall at Court (near the World Trade Center). I had only heard of PJD from their following me on Twitter; I was intrigued by the name and the concept. So I began following their Twitter account and pounced on the chance to check PJD out on opening day. I was promised that I could sign a $1 bill for being the first to arrive; alas, I was second to arrive, but that was okay. The owners, Adam Cianciola and Christian Davis, are both so kind and accommodating. They make the juices daily (heck, apparently they did not get much sleep the hours before their grand opening; they were bottling and pressing their juices for the big day!) They let passersby sample some juice before they buy; kids and adults love the various kinds of juice. Sure, a bottle averages about $8 each, but I can imagine pressing so many juices daily takes a lot of time, energy, and money (especially for organic, natural fruits and vegetables). Now, with the 3-day cleanse, I got 27 bottles of all the different juices (you can see what the cleanse includes on their page). At first I didn’t believe I could be successful with the cleanse (ah, my darn mind & its limitations). But throughout the first day, I found that I was not missing solid food. It helped that I was keeping track of my hours to space out the juices evenly throughout the day. My favorites out of all the juices? Energy 2, Detox 1-2, and Clarity 2. One of the juices I had during the cleanse was seasonal: it had watermelon in it as well (I think that was in one of the Clarity bottles). 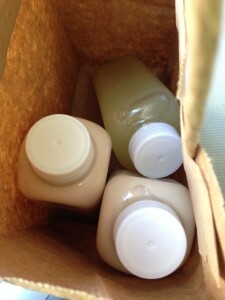 Of course, I cannot stop raving about their raw almond milk; SO creamy and delicious. I could hardly believe that the milk was not sweetened with sugar, but with nature’s goodness. At the end of each day of my cleanse, I savored the raw almond milk, sipping slowly and mumbling “Mmmm” each time. Yes, it’s THAT good. I succeeded in completing my cleanse by the end of that weekend; so thankful that I had PJD to guide me along with what to drink and when. Definitely felt cleaned out and ready to reset my diet. While I know I can easily buy juices from national brands at Whole Foods, or hit up a well-established juice bar in town, I prefer the trip downtown to get cold pressed juice from PJD. I am all about supporting local, and I can see that the owners and their staff work hard to get the products out daily! Check Pressed Juice Daily out when you’re wandering around on 16th Street Mall!